Professionally Pre-screened & Profiled candidates for Owners & Captains. Personalised career advancement for crew candidates. As Captains, Yacht Managers and, rare in our industry, as trained recruitment specialists, we have seen first-hand what happens when crew agencies and even recruiters get it wrong on yachts. Crew churn and on-board friction is costly, time-consuming and to be avoided at all costs. JMS Yacht Crew was founded by Sam Thompson Cert RP, Master<3000t and Franc Jansen Msc., BSc., MIMarEST, CEng, CMarEng with one objective, to get to the heart of successful recruitment: quality profiling with detailed reference and certification verification. Using our combined experience in the Superyacht Crew, Recruitment and Yacht Management sectors, we have listened to both crew and hirers alike to deliver an approach that offers a higher level of yacht-specific service with faster-streamlined results that pay off. But don’t take our word for it, see some of what our clients say below and get in touch so we can show how directly the difference JMS yacht Crew recruitment can mean for your yacht. Looking for the RIGHT crew position? Headed up by Sam Thompson, Cert RP, Master<3000t, the team at JMS Yacht Crew are not just ex-seamen & women with an ability to collect CVs. A trained professional recruiter, Sam has instilled the techniques and skills in his team that makes for quality and personalised placements every time. We guarantee to get and give complete feedback to all parties. As former Captains and Engineers we remember only too well what it was like to have crew agencies propose you for any yacht and almost any post just to get you off their books. And it doesn’t work. When you sign up with JMS Yacht Crew, you are working with a team who take the time to get to know you, your skills and qualifications and perhaps even more importantly, your own career goals and objectives. That’s why when we place candidates on yachts, they tend to stay. 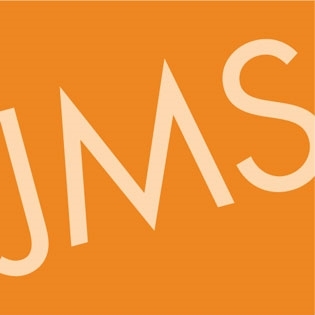 I have worked with JMS Yachting on multiple occasions and have always been more than happy with their services. Quick to come up with good candidates and very attentive to what the boat actually needs and not just throwing random CV’s at you which seems to be the norm these days. I would highly recommend them to any Captain/crew looking to fill a position or looking for employment themselves. Motor Yacht Khalilah is a very happy customer of JMS on both the management and crew recruitment side of things. Sam manages to always deliver the goods with a combination of thorough research, professionalism and good humour. Well done JMS! Keep up the good work! By utilising his knowledge and understanding of the industry, Sam and his team make the recruitment process as short and as pain-free as possible. He genuinely listens to all our requirements and only sends us relevant CVs. He always gives a clear and honest review of the candidates before we meet them, and it is apparent that he has always checked references. Crew he placed with us have been exactly what we were looking for, and are all still on board almost 12 months later. I would be more than happy to recommend using his services at JMS to anyone! You are one step closer to operational, financial, technical, safety & compliance and HR freedom. JMS what else do you need? Yacht management and crew solutions for owners and captains who want honest and effective solutions, support and experience not glossy sales pitches and the extra workload of having to check someone else’s work. All the * fields are required.